In their study, Bailey et al. examined whether health information exchange reduces repeated diagnostic imaging and associated expenditures in urgent back pain evaluation. Their findings showed that any cost reduction was related to health information sharing because of would be diminish Radiograph Computed Tomography (CT) imaging when healthcare providers used health information sharing . 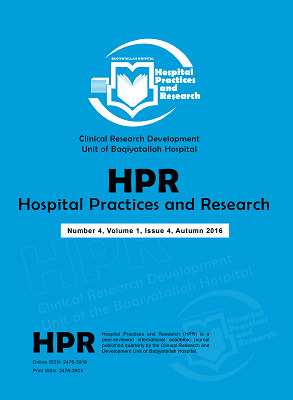 Iran research showed that “archiving and retrieving medical information for easy access for the collection of garbled and classified and generally health information exchange because of preventing multiplication, facilitates reviewing patient history, and gives ease of access to patient records. Furthermore, it saves 80% in time and costs, and manpower costs are reduced by 73.3%,” . Thus, health information exchange has a major impact on an organization, cost minimization, and other aspects, provided it is properly used and provides satisfaction for the users. These two studies have some differences. The sample size of the Iranian study is only 18 managers, which is insufficient for a study. Bailey surveyed 800 patients for back pain. In the Iranian study, the authors did not describe how they selected patients to assess for back pain. In Bailey’s study, all of these issues were clear, and they used a descriptive statistics chart as well, which discloses patient age, gender, race, insurance situation, factors that could affect back pain in the sample size. In an Iranian qualitative study by Mokhtaripoor and Siadat, the authors did not use a systematic qualitative study method, but only described it; Bailey et al., on the other hand, used a mixed method which contained both qualitative and quantitative methods which are very useful in interpreting results. They used a quantitative method to describe back pain in patients and a qualitative method to describe sample size and its characteristics. The relationships between variables were surveyed in this study and an odds ratio was shown in a multivariate regression. In the study by Mokhtaripoor and Siadat, the reliability and validity of the questionnaire used in the study was not determined. The reliability of the study could not be valid, because the sample size was only 18 and that is not a suitable size for determining reliability [1, 2].